Rob Buchanan is former President of the El-Hibri Charitable Foundation in Washington, D.C. 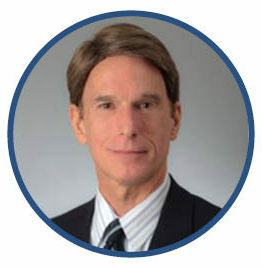 Previously, he served as Managing Director of International Programs at the Council on Foundations where he partnered with the European Foundation Centre to create resources on cross-border grantmaking (Principles of Accountability for International Philanthropy) and disaster response (Disaster Grantmaking: A Practical Guide for Foundations and Corporations). Rob also co-authored “Making a Difference in Africa: Advice from Experienced Grantmakers” and spearheaded creation of a resource for grantmakers on anti-terrorism issues (Principles of International Charity). Prior to the Council on Foundations, Rob served as Program Director for the Horn of Africa at Oxfam America and led a coalition for EarthAction which resulted in U.S. ratification of a United Nations treaty to combat desertification. He has served on the boards of Oxfam America (staff representative), the Asia Pacific Philanthropy Consortium, Worldwide Initiatives for Grantmaker Support, and Partners of Tanzania’s Relief and Development. Rob is a graduate of The Johns Hopkins University and earned an M.A. from The Johns Hopkins School of Advanced International Studies.